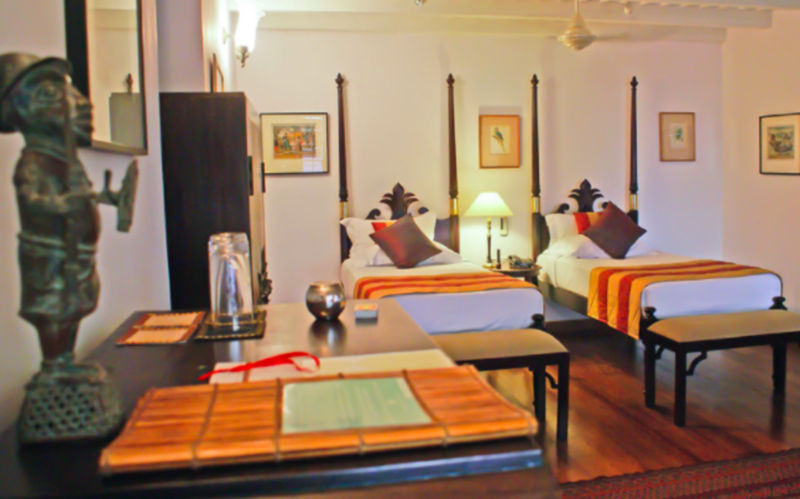 Dating back to the 16th century, the Le Colonial hotel is a luxury hotel in the heart of Fort Cochin. Made famous more recently as being the setting of BBC's Real Marigold Hotel, the Le Colonial is reputed to have once housed the great explorer Vasco Da Gama. The atmosphere is authentic and the interiors will take you back to a bygone era while the grand inner patio and the garden pool give the hotel its luxury signature. 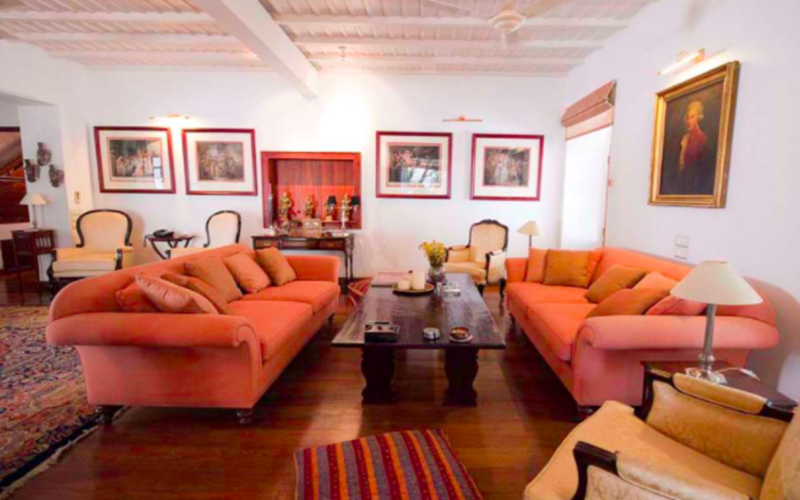 The property offers 5 rooms named after historical figures. 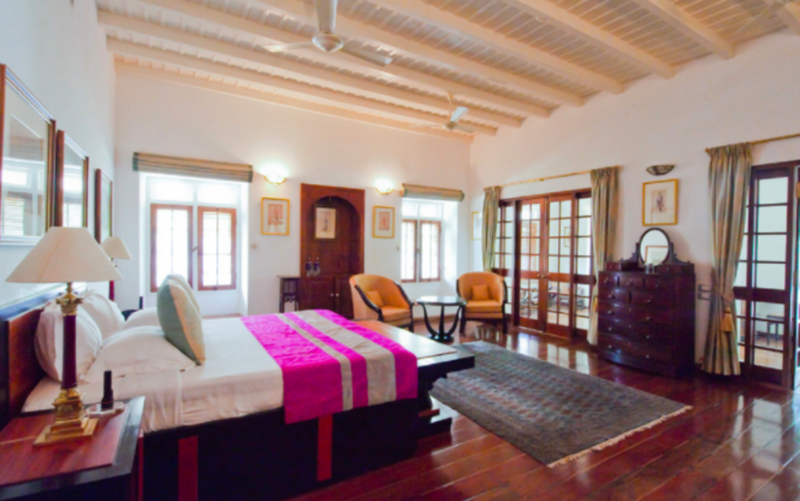 For example the spacious ‘Jan Van Spall’ room is named after the last Dutch Governor of Cochin and has two King Sized beds and a private Verandah. 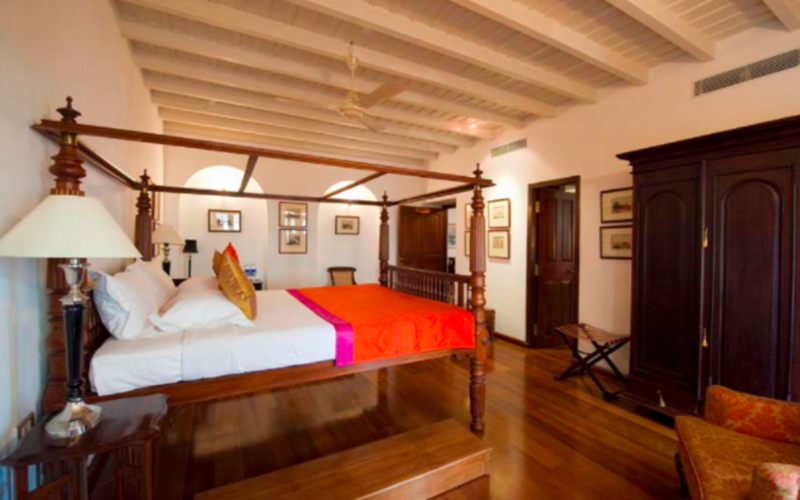 The ‘Major Petrie’ room has a high, four-poster bed with teak steps to mount, a striped-white rafter roof and windows pierced in thick walls overlooking the St. Francis church. 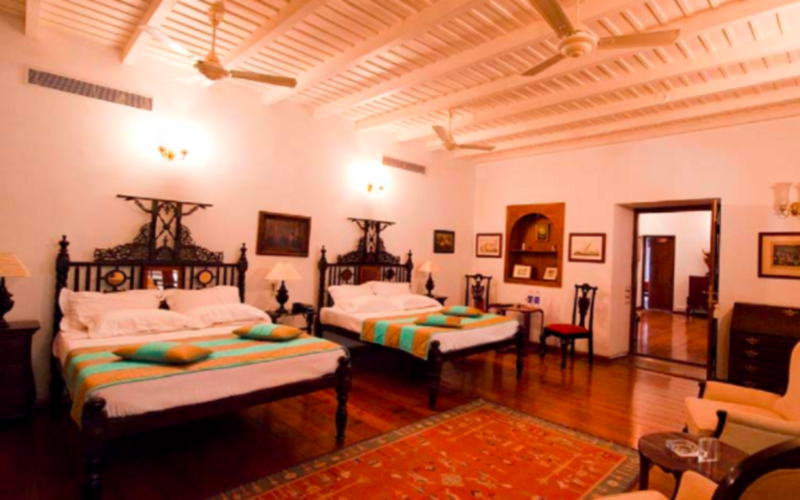 The ‘Tipu Sultan’ room is named after the last Sultan of Mysore while the ‘Vasco Da Gama’ is named after the famous explorer. 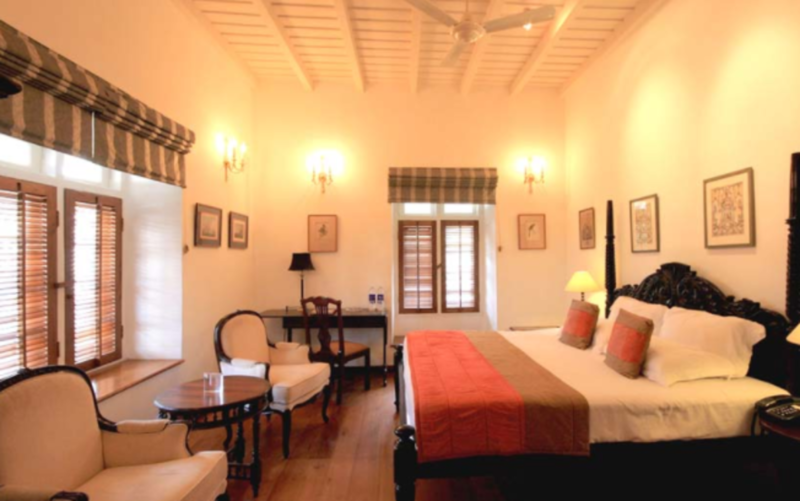 The largest room is called the ‘Viceroy’ and besides its long Verandah is decorated with deco furniture in teak and satin wood . 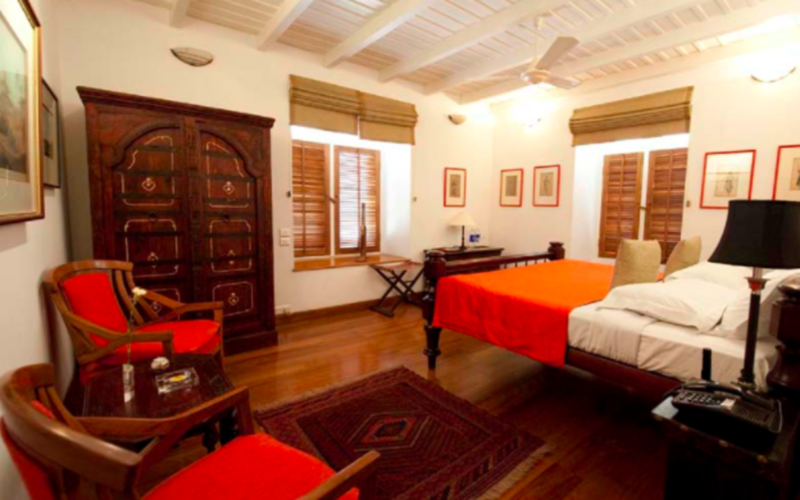 The property boasts of 5 spacious rooms named after historical figures and decorated with period furniture. Serves South-Indian cuisine with a few Continental or Oriental dishes to suit a range of tastes and palates. Italian and Chinese dishes are often added to enrich the range of buffet spreads. Find out more. 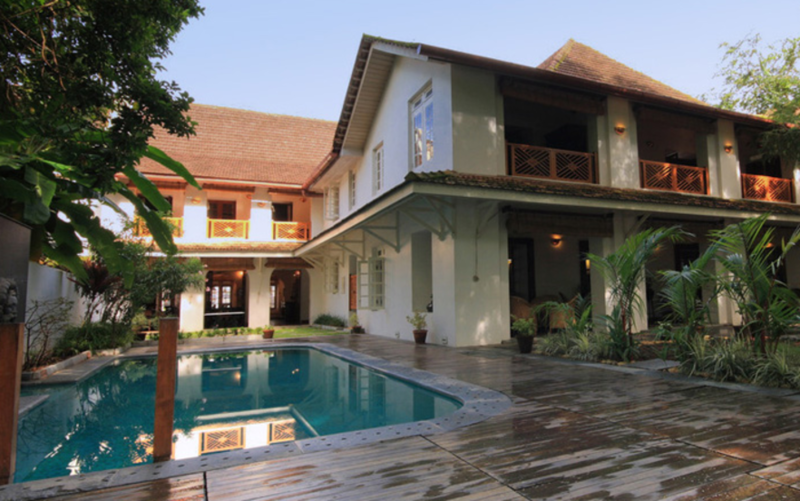 Get in touch with one of our Kerala specialists today.